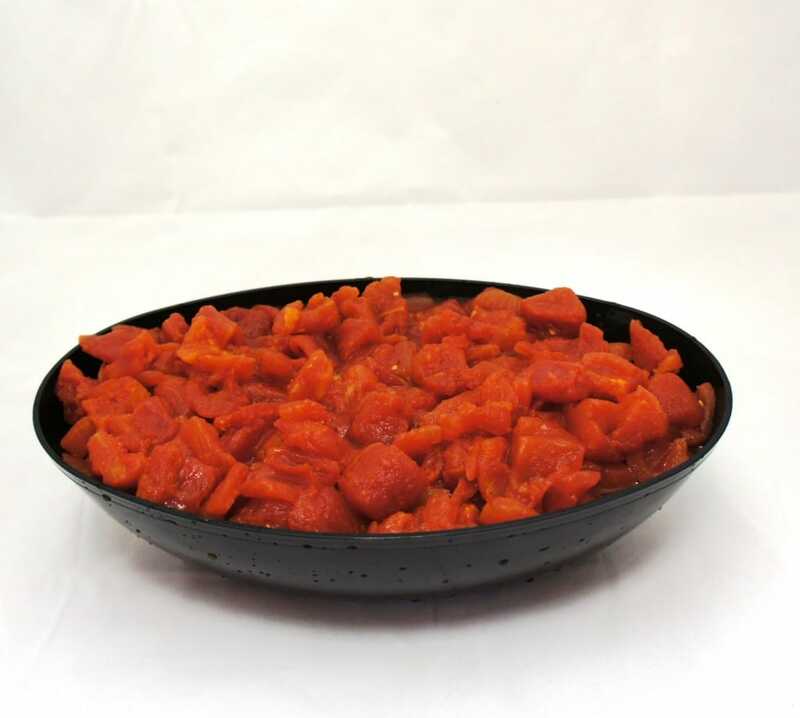 Large vine ripened diced tomatoes in juice packed in pouches shall be prepared from tomatoes that have been washed, hand sorted for quality and peeled. Salt, naturally derived citric acid and calcium chloride are added. Topping juice made from fresh tomatoes is used as a packing medium.